As many of you know, Queen West is packed with restaurants. Just over a year ago, one of my new favourites opened up. The Good Son comes from former Top Chef Canada contestant, Vittorio Colacitti. He has worked at many fabulous restaurants before this, including George, Lucien, Didier, and Pizzeria Via Mercanti. The Good Son is inspired by all different cuisines, ranging from his French influence at Didier, and Italian from Via Mercanti and his time spent in Italy. When you step inside the restaurant, you enter a small little shop selling imported grocery items such as tea and olive oil, with a hostess stand. After walking through this little room, you enter the main restaurant. I was pleasantly surprised at the decor and the cozy, homey atmosphere. The walls were lined with old clocks, antique plates, and mismatched vintage chairs. To match this antique feel, there was of course exposed brick, as well as tufted leather booths. If you have been following my blog, you know that I LOVE pesto. I also really adore pizza. 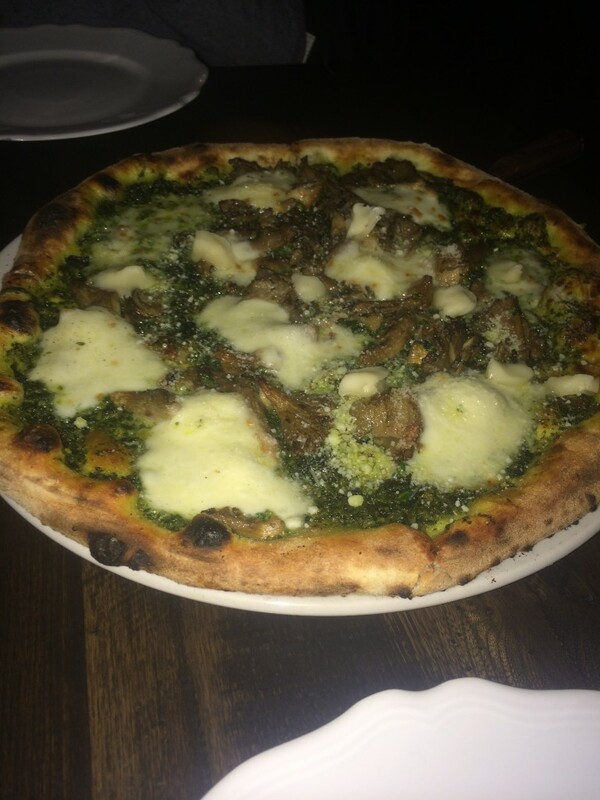 That being said, I absolutely could not resist the wild mushroom pizza with pesto. I think it was made for me. Naturally, I devoured this. 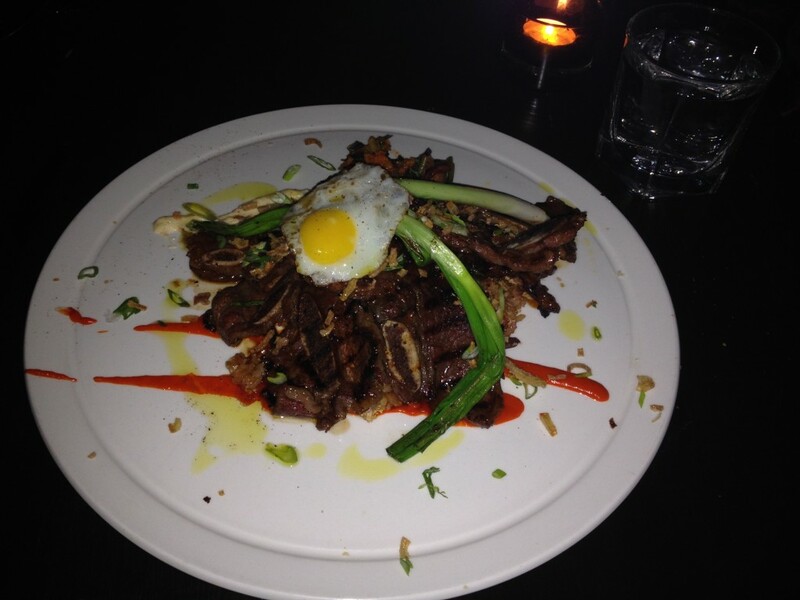 Next up was the Bulgogi Short ribs with kimchi fried rice and a sunny-side up quail egg. The beef was cooked perfectly, but was a little fatty. I guess that can happen with this cut of meat, but I still enjoyed it. The runny egg yolk added richness, and a wonderful flavour, especially combined with the rice. We must have been feeling quite hungry (or just super excited by the menu!) that we also ordered the burger. 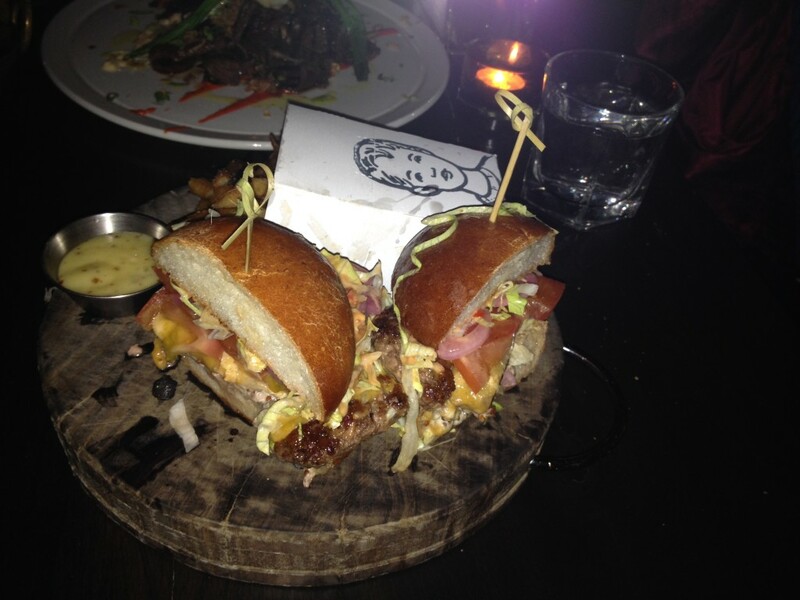 The juicy burger was topped with house made cheese, Russian dressing, lettuce, and tomato. The thick cut, crispy fries were also a huge hit. Unfortunately, the Brussels sprouts that we ordered are not pictured. It is a shame because they were so darn delicious. They were fried which added some crispiness, but also soft without being soggy. They were tossed in a delicious sweet sauce made from tamari, maple syrup and Sambal. The combination of sweet and a little spice made for probably the best Brussels sprouts I have ever had. Sadly though, the menu has been changed and for some reason this dish has been removed. I highly urge you to try the Good Son. There are still so many dishes that I need to try on my next visits.